Our AdVis 2.1 has built in edge blending and edge overlap. There are many solutions out there to create seamless displays by overlapping projector images and blending the edges, however, these features only appear on the most expensive projectors or can be created using very expensive hardware solutions. There are also software solutions out there, but again, they are expensive and they also cause a delay which is no good for interactive projection. We have now incorporated Edge Blending as standard for all of our effects, you can edge blend up to four projectors to create seamless displays, and what’s more, there is no processing overhead in doing so, so the displays still run in real-time. 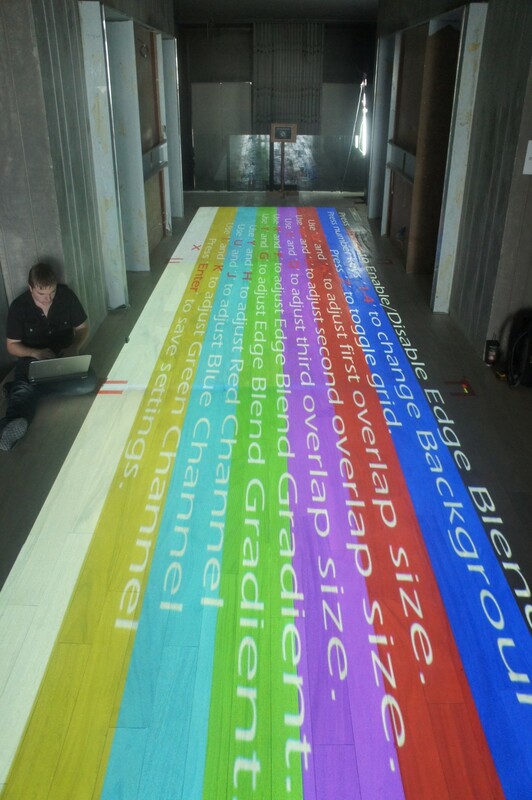 For custom installations, we can edge blend an unlimited amount of projectors. 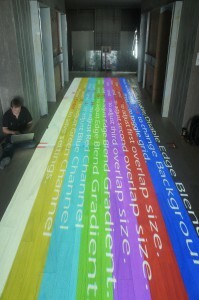 Combined with our built-in geometric correction (warping), we can create a display of any size and shape. Our interactive software comes with a wide range of interactive templates making it very easy to create entirely new effects using your own content. You can replace background images and videos, logos and sounds and configure the effect to react how you want..